You guys, I think they want us to get ready for something to happen on Monday at 10am PST. But what? I don't think anyone saw the announcement about two Coachella 2012 weekends coming last year when they dropped that little tidbit, so we could play the guessing game all day and still be wrong. 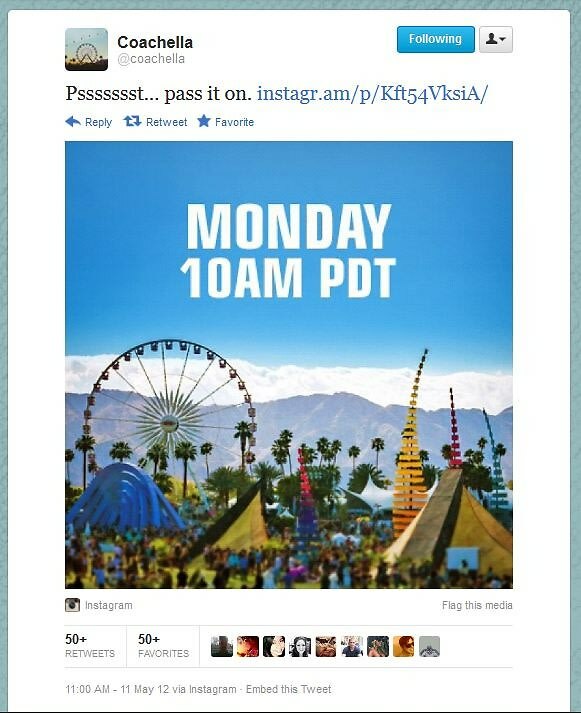 Pretty certain it's safe to rule out a Coachella 2013 lineup announcement because it's just too soon for artists to commit. But if whatever bone they're throwing us on Monday isn't some curveball, the most likely things it could be are the festival dates of Coachella 2013 and/or the beginning of presale for tickets. Which is very likely and, by the way, just completely insane considering people are still paying off this year's Coachella expenses, not to mention we wouldn't even know what we're buying tickets to since there's no goddamn lineup. For all you know, next year could be an entire hologram bill. Or have headliners like Hootie and the Blowfish, J.Lo or god forbid Nickelback. We'll keep you posted if any more information on this trickles out. 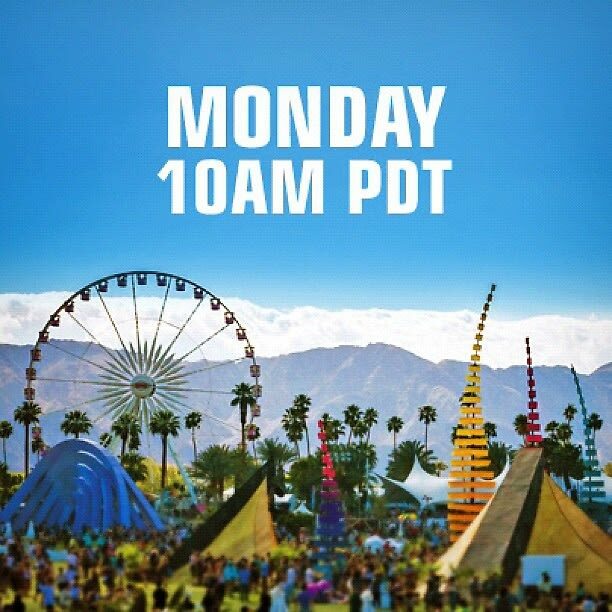 In the meantime, try not to lose any sleep over this and enjoy your weekend, sit tight and set a reminder for yourself if you want to know what the big Coachella mystery is. Or you can just let us tell you.